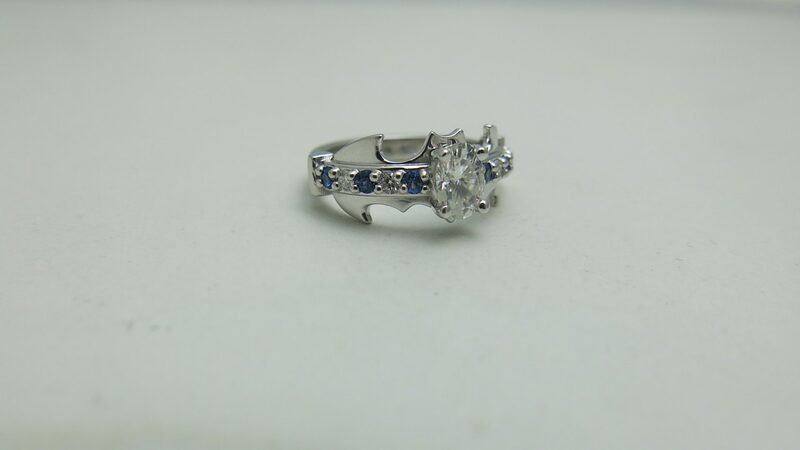 One of many Custom Batman Engagement Rings we have created, this one has the bat going across the top. It is accented by 5 stones on either side of the center stone. This one was a bit large as it was for a man and had a 5x7mm oval in the center with 2mm round accents. However, other shapes and sizes could be used. 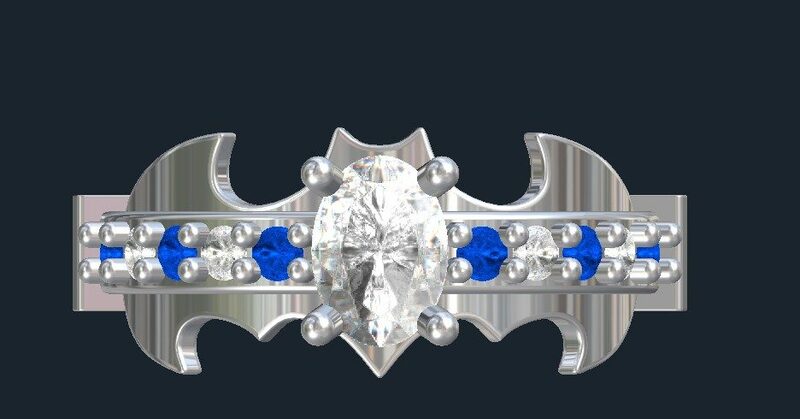 These unisex Batman Engagement Rings are shown with Moissanite and Sapphire, but almost any type of stone could be used. If it was up to us, we would make the band more feminine…maybe a comfort fit shank. The only issue is that it has to be at least 3mm wide or else it is too narrow for the bat. CENTER STONES: 3.5-7mm. This can be almost any type of stone. The shape has to be round or oval. 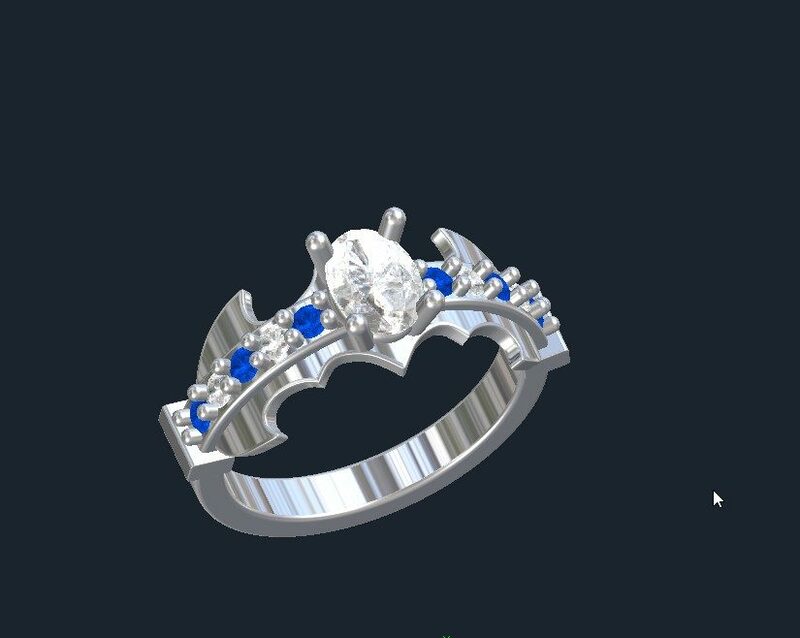 Click HERE to see more of our Custom Batman Engagement Rings. 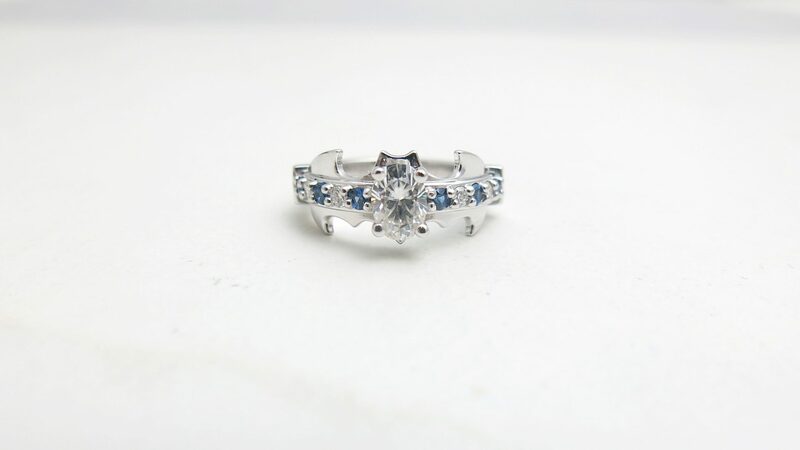 Click HERE to lean more about custom jewelry, to view our portfolio or to contact us about a Batman Engagement Ring. It can cost less than you think to have your very own custom engagement ring made. Why settle for boring, uninspiring, mass-produced bridal jewelry? We can make your very own Custom Batman Engagement Rings that no one else has! And usually for less than at the mall.